Auto/biography and life history methods can generate deep and rich insights into human life and learning. They also celebrate -- as this book shows -- the complexity and interdependence of the many aspects and levels of life that are kept separate by the hegemonic view of learning and research, which is overly functionalist, reductionist, disembodied and disconnected. 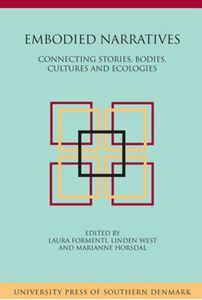 Stories are a powerful means, in fact, to illuminate the connections between emotions and meaning, contents and contexts, body and physical space, subjectivities and social structures, both at a micro, messo and macro level, in adult and lifelong learning. A community of researchers who regularly meet to share ideas and methods, is involved here, building a framework -- not unique, but pluralistic and complex -- for re-thinking about narrative methods as not only addressed to words, events and meanings, as it is usually thought, but to relationships, contexts, voices, images and metaphors, urban and natural places, cultures, and ecologies.